I had a marvelous weekend in Victoria packed with adventure. We hopped on our bicycles to rendezvous with Kristina at the lovely Cornerstone Cafe for some open mike excellence. I heard a great (read: moody) Velvet Underground cover. Unfortunately I think this means the performer is likely bearing angst similar to that which tormented Lou Reed. At least he was expressing himself musically. He only knocked over some of the stage equipment. 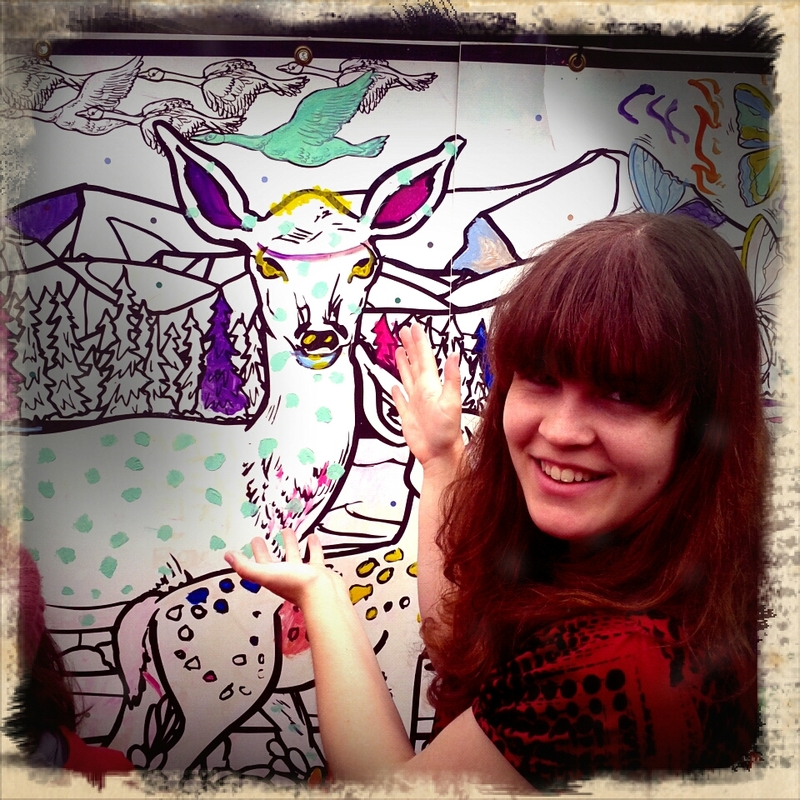 The next morning we trotted off to the annual Moss St Art Festival (along with 30,000 other people). I was glad to be using the sleek power of a bicycle rather than crawling around in a clumsy automobile. We co-produced some art of our own. I added the green polka dots to bambi. 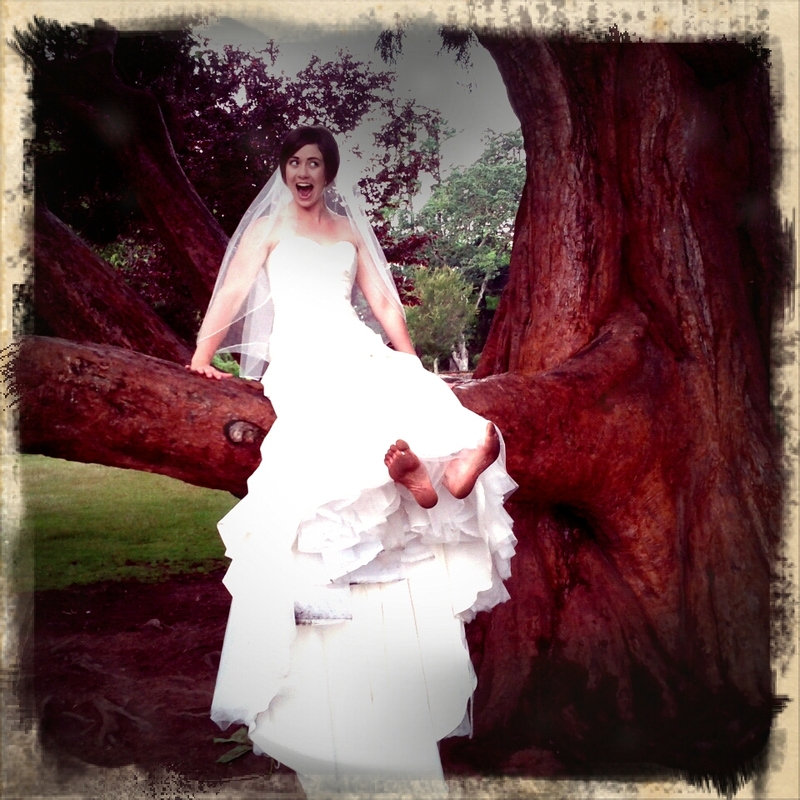 My sister, Ame, newly married and in a tree. In what is becoming an exhausting tradition, I did not get any sleep the night of the wedding. Well, actually, I got 15 minutes of sleep on Kristina’s porch at around 8:45 am. 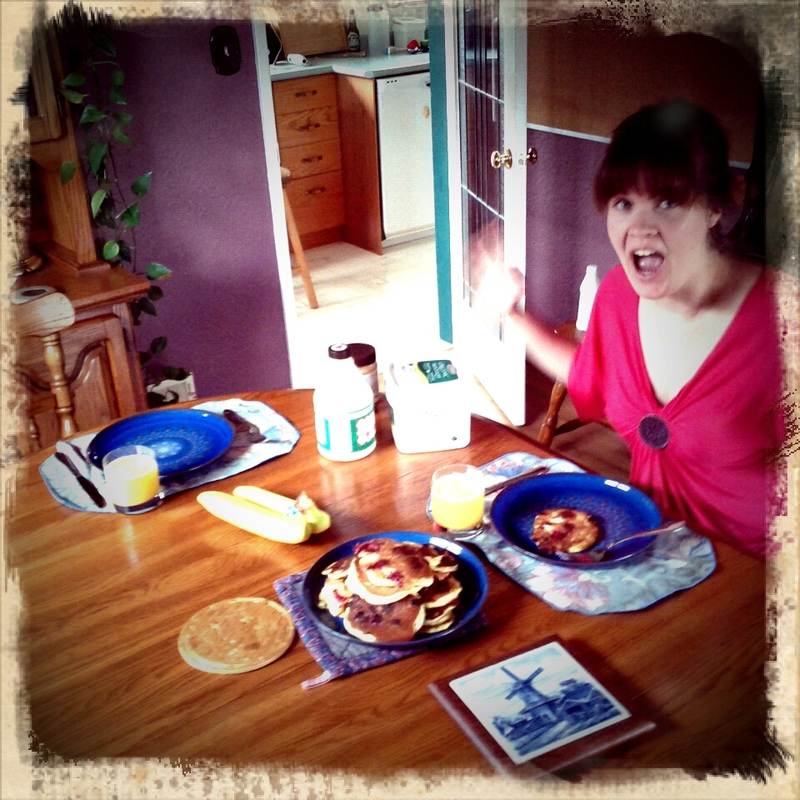 Then we made pancakes. This entry was posted in Breaks and tagged Ame, Annelies, Kristina, Victoria, wedding. Bookmark the permalink. Rest up, we have an awesome long weekend of adventure coming up! Such an awesome weekend! Thanks again for coming out and cavorting around with us!